This is NO Taliban issue, but just an old riding whip from Afghanistan! Solely used for riding horses. 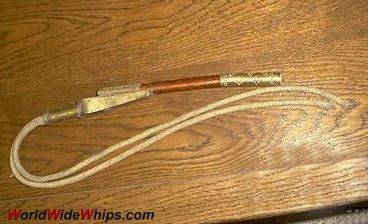 The whip consists of two 8plt rawhide tails with a brass fixture, fastened to a thin wooden handle with a brass handpiece. A really nice example of Afghan artwork.